A NAMBOUR GP says synthetic-opioid addiction and abuse is growing on the Sunshine Coast. 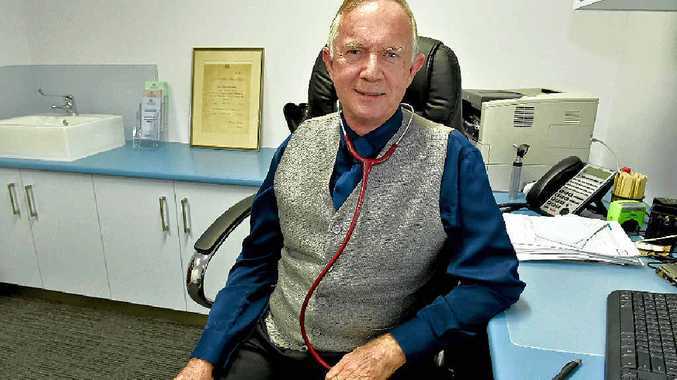 Dr Wayne Herdy said the popularity of drugs such as oxycodone and fentanyl was growing among users, and GPs and health experts had to be vigilant about the issue. He said he would normally be hesitant to talk about specific drugs, but the increasing prescription and use of Oxycontin was noticeable. "It is a major issue - we are seeing a lot of it," he said. "Long-acting opioids have been around for a while. "In the last two to three years, Oxycontin prescription has increased as it works very well." Are police doing enough to stop the abuse of prescription drugs? This poll ended on 20 September 2016. He said GPs had been accused of over-prescribing the drug, but it was a proven, highly effective drug in combating chronic pain issues. "Oxycodone is used in two main situations: in older people with chronic pain from cancer and non-cancer ... and younger people with chronic pain condition - often joint arthritis in knees and hip, and back pain," he said. "Some people need these for a relatively short period of time. Often with industrial back pain they will use it for a couple of months and Oxycontin is very appropriate in those instances." Dr Herdy said oxycodone was becoming increasingly popular with users of narcotics, and he believed a controlled, regulated substance was a safer alternative than street-grade drugs. Almost every GP would be approached (for oxycodone) several times a week I'd say ... it's a very common problem," he said. Dr Herdy said there were serious risks associated with injecting oxycodone instead of taking it orally as designed. He warned of "doctor-shoppers" who rotated through GPs in a bid to acquire more of the drug, often for their own use or to sell. Dr Herdy said it was vital that GPs took the time to try to counter the doctor shopping by determining if they were dealing with known sellers or addicts. "GPs everywhere are reluctant to go through the administration process to get approval, or through the Doctor Shoppers Hotline to get more information, or to engage in supervised doses with pharmacists," he said.